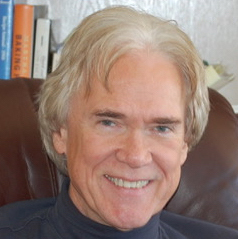 Home / Jack O’Connor, Ph.D. I think of psychotherapy as a collaborative conversation. Sometimes, it may be about the loss of a loved one, concern over a child, anxiety and depression that shrink the soul, relationship worries or other human dilemmas. People bring me their trust and their stories. I try to listen to how their narrative or story may be too narrow, confining or constricting, and identify with them ways to create new possibilities in thought, feeling and behavior that enlarges their world, cultivating new ways of seeing and of being seen. I hope I bring a kind, respectful attention to individuals and listen in a way that they feel truly validated. We can be creative in solutions, have fun and even use humor to help be more accepting of self. I am a New York State Licensed Psychologist and have over 35 years of experience in private practice, in an outpatient clinic for children, adolescents and their families as well as in a psychiatric hospital. In my private practice, I meet with individuals (child through adult), couples and families who may be experiencing problems or disruptions in life. I have been a consultant to outpatient clinics, pre-schools, programs for disability services, and Assistant Clinical Professor at Albany Medical Center in Pediatrics from 1977-1991 and in Psychiatry from 2009 to the present. My publications include crafting therapeutic rituals, areas including obsessions and compulsions, Post-Traumatic Stress Disorder (PTSD), anxiety, depression and other topics.